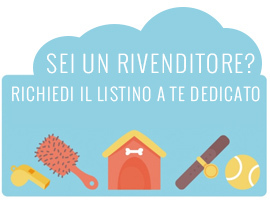 CAMON CRAVATTINA PER CANI 10 x 5 CM. FERRIBIELLA T-SHIRT "BAURBIE" 25 CM. FERRIBIELLA T-SHIRT "BAURBIE" 35 CM. FERRIBIELLA T-SHIRT "GIN & TONIC" 25 CM. FERRIBIELLA T-SHIRT "GIN & TONIC" 30 CM. TRIXIE IMPERMEABILE TARBES TRASPARENTE 30 CM. TRIXIE IMPERMEABILE TARBES TRASPARENTE 34 CM. TRIXIE IMPERMEABILE TARBES TRASPARENTE 38 CM. TRIXIE IMPERMEABILE TARBES TRASPARENTE 42 CM. TRIXIE IMPERMEABILE TARBES TRASPARENTE 46 CM. TRIXIE IMPERMEABILE TARBES TRASPARENTE 55 CM. TRIXIE IMPERMEABILE TARBES TRASPARENTE 60 CM. FERRIBIELLA T-SHIRT "GIN & TONIC" 40 CM. FERRIBIELLA T-SHIRT "I LOVE YOU" 25 CM. FERRIBIELLA T-SHIRT "I LOVE YOU" 30 CM. FERRIBIELLA T-SHIRT "I LOVE YOU" 35 CM.